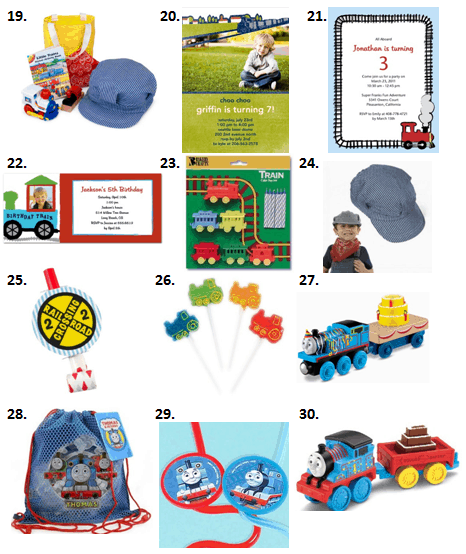 If your little one loves trains, then you’ll love these ideas for a train-themed party. 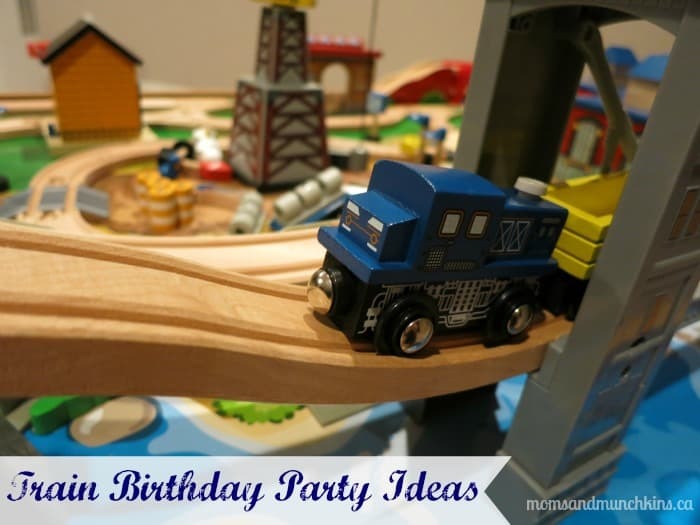 These train birthday party ideas will help you Choo Choo choose everything from your invitations, decorations, food and activities through to your party favors. There is a lot of information to share so let’s get started! 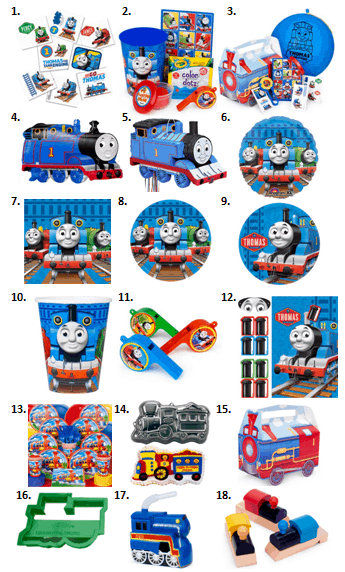 Don’t forget to visit our special Train category for even more creative ideas. turn old boxes into freight cars to hold the party food, favors, etc. A train tag game where one person is chosen as “it” and as he/she tags people, those people join onto the back of the “train” (hanging onto the waist of the person in front of them). The winner is the train’s caboose (the last person caught)! For more fun party ideas, follow us on Facebook, Twitter, Pinterest and Bloglovin’. *Disclosure: I am part of the Tiny Prints, Inc. Birthday in a Box and Amazon affiliate programs. All opinions expressed here are my own.